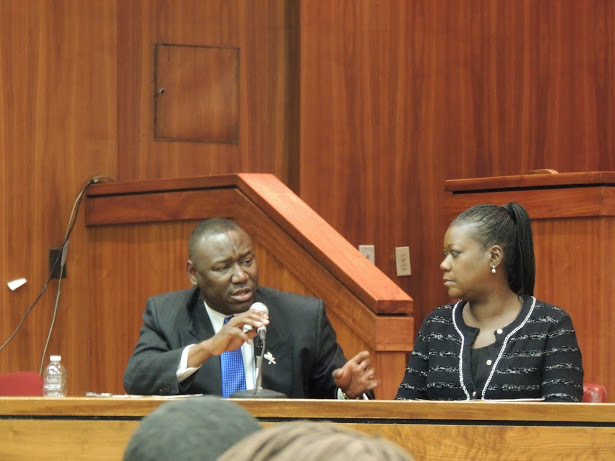 Sybrina Fulton and Benjamin Crump, Esq. 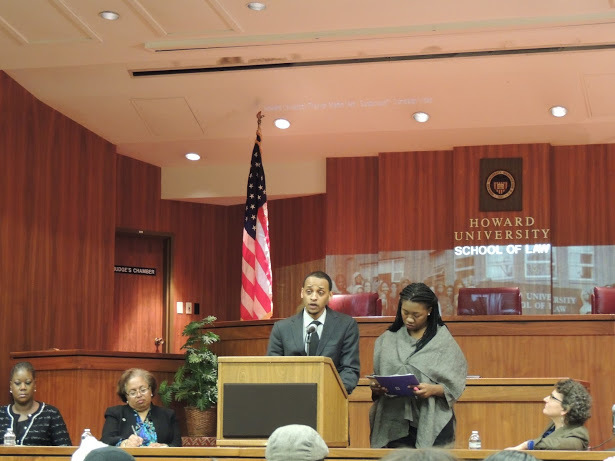 visit Howard University School of Law. 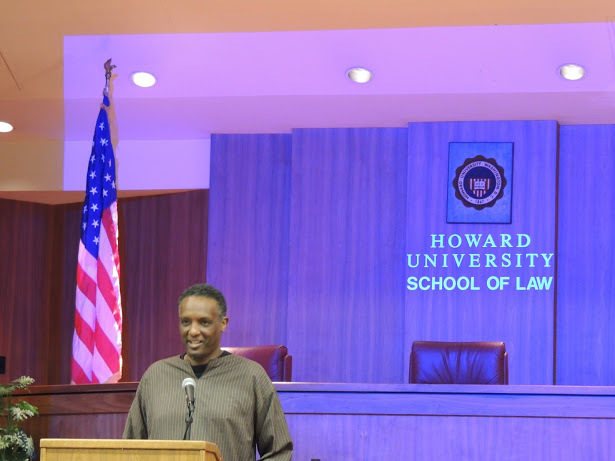 Professor Gregory Carr, Chair of the Department of Afro-American History at Howard University and Professor of Race, Law, and Change at Howard University School of Law opined on the social climate surrounding Trayvon’s death. Carr spoke about the plight of African Americans in America, quoting James Baldwin, “From birth to death, there is something very personal about being black in America.” For Carr, the discussion regarding Trayvon and minorities involved in gun violence seems to be dissipating, yet he commands us to remain assertive in our fight, “The conversation at the national level has come to recede but it should never leave us.” Following Carr, stood Sybrina Fulton, the mother of slain Trayvon Martin. 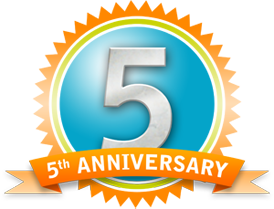 Fulton, who received a standing ovation from the audience, commenced, “I never do an interview with quotes. It’s not because I am unprepared. It’s because I am speaking from my heart.” Fulton began her story, remarking on how difficult and unfair it is to have lost a son. 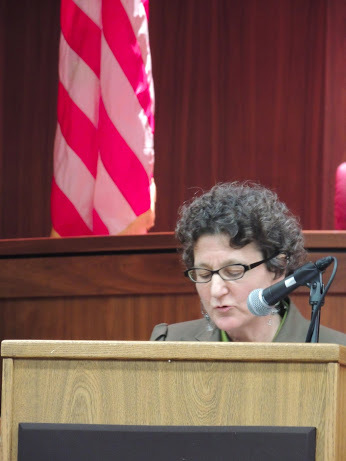 She clarified, “I did not start out as an advocate; I started out as a lover of my son.” Now, Fulton is not only in the fight for justice for her son, but also for all of the young men and women rejected by an unjust criminal justice system. 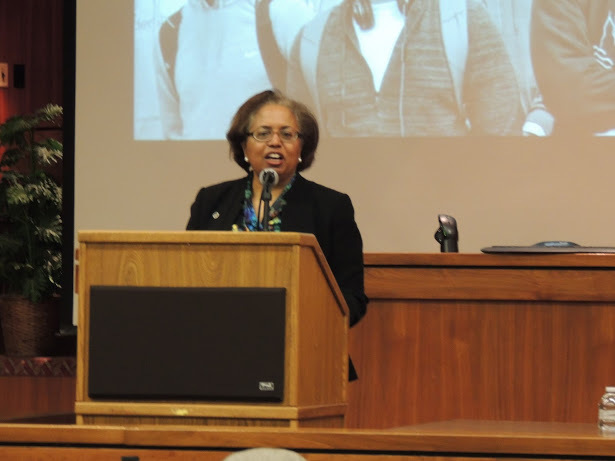 In applauding the efforts the students are making to establish themselves as attorneys, Fulton advised, “You can’t just be an attorney; you have to be a lover of people.” Fulton ended her remarks by thanking Howard University students for their continued activism. 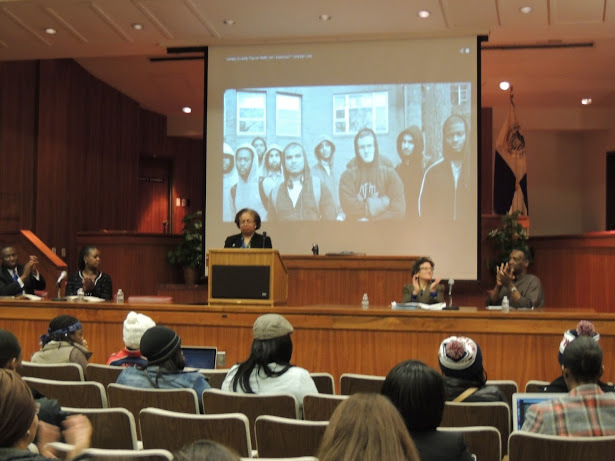 Josephine Ross, Director of the Criminal Justice Clinic at Howard Law then approached to discuss the history of case law related to racial discrimination. 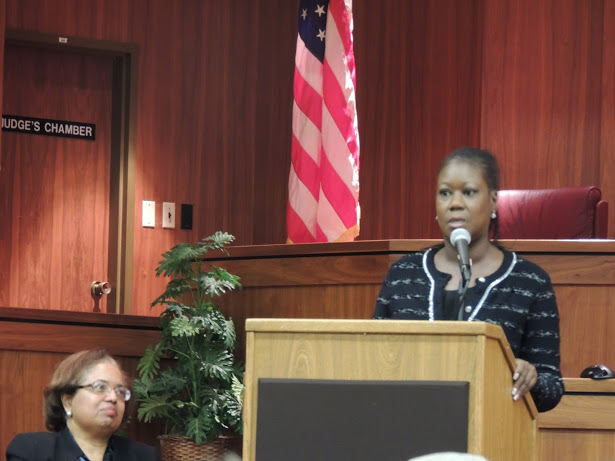 Ross first spoke about what it means to be suspicious; “Suspicion is what gives police the right to stop someone that is otherwise minding their business.” She then defended Trayvon, “No one ever said Trayvon Martin should have stood HIS ground…and Trayvon paid the ultimate price for this unjustified suspicion.” During her remarks, Ross called on society to reject discrimination in not just the African American community but also in Latino and Muslim communities. Wrapping up, Ross maintained, “The most typical response by the Supreme Court to racial discrimination is to ignore it.” With that, Ross advised that we stop turning to the Supreme Court for help and instead pass laws in our own states that forbid racial profiling, because, as of right now, the Equal Protection Clause is a right without a remedy. 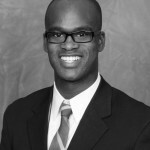 China Dickerson is a second year law student at the Howard University School of Law and an intern at The White House. Prior to law school Ms. Dickerson was a staff member at the Institute of Medicine in Washington, D.C. She was also a Peace Corps Volunteer living and working in El Salvador. This entry was posted in Popular Stories and tagged Benjamin Crump, China Dickerson, Dean Okianer Christian Dark - Howard University School of Law, Howard University School of Law, Okianer Christian Dark, Parks and Crump, Sybrina Fulton, trayvon martin by China Dickerson. Bookmark the permalink.